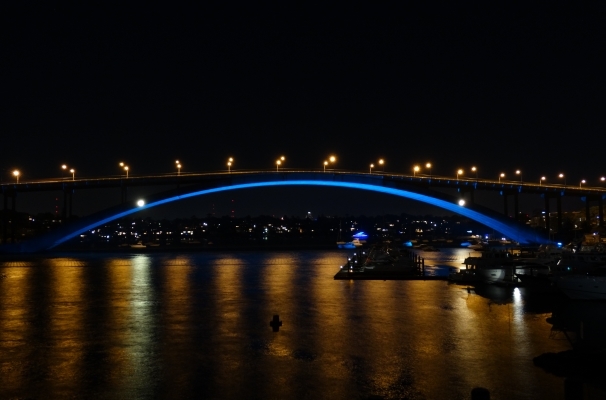 Gladesville Bridge has been lit up in celebration of its 50th Anniversary. 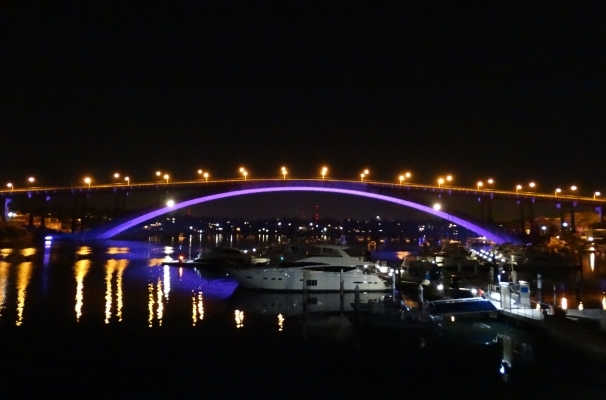 When opened on 2 October 1964 it was, at 1000 feet (305 metres) the longest span concrete arch bridge in the world. On the official ceremony held by RMS on 1 October the Bridge received an “Engineering Heritage International Marker”.